In Stock: Most orders ship within 1-3 business days. Free shipping on orders over $ 50.00. 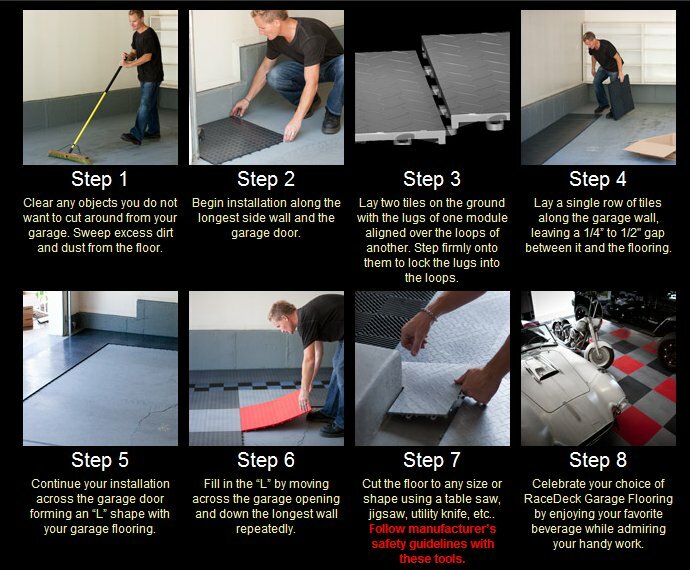 If you have a large shop or garage and need to cover a lot of area, or just want fewer seams, RaceDeck XL is for you. RaceDeck XL is the industry’s largest diamond-tread modular garage flooring module. Even though it’s 50% larger than the standard RaceDeck module, RaceDeck XL is compatible with all RaceDeck garage flooring styles, giving you virtually limitless custom design options. Perfect in every way, delivery was on'time, packaging was very professional, no missing or delayed items, install was very EASY-550 sqft in under 3 hours, no tools required, looks AWESOME, I have great respect for Elite Garage Floors and Race Deck product! !